The EPA has identified indoor air pollution as a serious health risk, and there’s a good chance that your home or office is filled to the gills with nasty air. It turns out that many homes are plagued by toxic VOCs (volatile organic compounds) which can come from a ton of different sources, like mold, air fresheners, paint, and the flame retardants in your carpet. Additionally, most buildings are poorly ventilated, which can create a buildup of carbon dioxide (and, obviously, a lack of oxygen). You might even be making changes to improve your home or office air quality like cutting down on high VOC products, airing the place out more often, or introducing lots of plants. But how do you know if your efforts are making a difference? That’s where a good air quality monitor comes into play. Air quality monitors come in all shapes and sizes, but they all do the same basic job. They let you know how polluted your air is, and they nag you to make changes if your environment is unhealthy. Most air quality monitors can connect to your smartphone, and some can even connect and interact with your smarthome products for automated air-quality action. That being said, it can be hard to find the air quality monitor that’s right for you. That’s why we’ve rounded up a variety of high quality air monitors suited for a different situations and needs. Keep in mind that these are just air monitors, not air purifiers or filters and, more importantly, an off-the-shelf product is a good tool to monitor general air quality but is not the same as calling in a professional. If you suspect there is a serious issue with the air quality in your home, consult a professional air quality specialist. If you want a stylish, air quality monitor that can easily integrate into your smart home, then you should check out the Awair. It tests your air for toxins, chemicals, fine dust, carbon dioxide, temperature, and humidity. The Awair’s display shows an air quality “score,” but you can check the details behind that score through the Awair app. The Awair app also keeps a timeline of your air quality history, so you can see how changes in season, cleaning habits, and furniture affect the air you breathe. 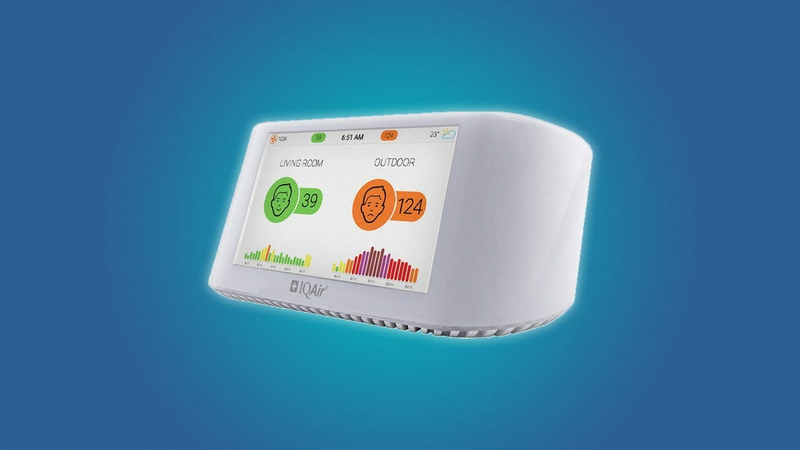 Since the Awair air quality monitor can connect to Alexa, Google Home, IFTTT, and Nest, you could potentially use it for a variety of smart home applications. For example, if your air quality score goes too low, your smarthome setup could automatically turn on an air purifier, turn on a whole-house fan, or send a notification to your phone. This is a great air quality monitor for people that care about style, convenience, and smart home integration. If you like the Awair monitor, but you want to save a bit of money, you could always buy an Awair Glow, a plug-form-factor air monitor from the same company. The Foobot is one of our favorite air quality monitors, and for good reason. It’s a very sensitive monitor that connects directly to your phone, or to any other smart device that you own—it works with IFTT, Alexa, Echobee, Honeywell devices, Nest, and more. As you can imagine, the Foobot is a good device for home automation, especially if you have a handful of them sitting around your house. Like the Awair, the Foobot has a dedicated app that shows your room temperature, humidity levels, and exactly how many toxins, chemicals, and fine particulates are in your air. This app gives you recommendations when your air quality is low, and gives you notifications when there are significant dips in air quality. If you’re looking for an affordable, portable air quality monitor, then you should check out the Atmotube 2.0. It’s basically a keychain air monitor that tests for humidity, temperature, VOCs, and harmful gases (like carbon monoxide). The Atomotube has a dedicated app that shows you the details of your environment, and it can even send you notifications when the air in your environment is unsafe. Since the Atomotube is meant for on-the-go air readings, its app includes a Global Air Quality map (it’s like the maps on the weather channel, but for pollutants). The Atmotube can’t be used with smarthome products, but to be fair, it’s meant to be used on the go. If you like the idea of the Atmotube but want even more sensors and sensitivity, they do have a more sophisticated model available for pre-order on their website. You know those big table top digital thermometers that give you all kinds of indoor and outdoor temperature readings? The IQAir air quality monitor is kind of like that, but for air pollutants. It has an intuitive display that shows you indoor air quality readings alongside outdoor air quality readings (plus temperature and humidity). 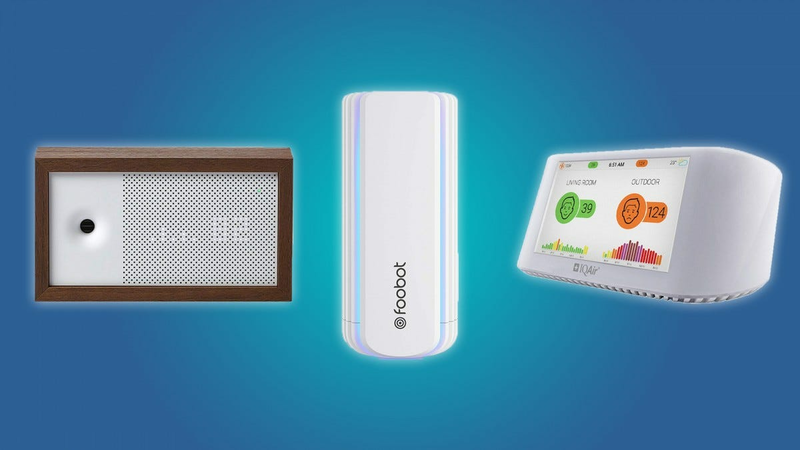 The IQAir can connect to your phone or desktop over Wi-Fi, and it’s easy to integrate straight into your smarthome through IFTTT protocol (it doesn’t specifically support Alexa or Google Home, but IFTTT works with practically any smarthome device). 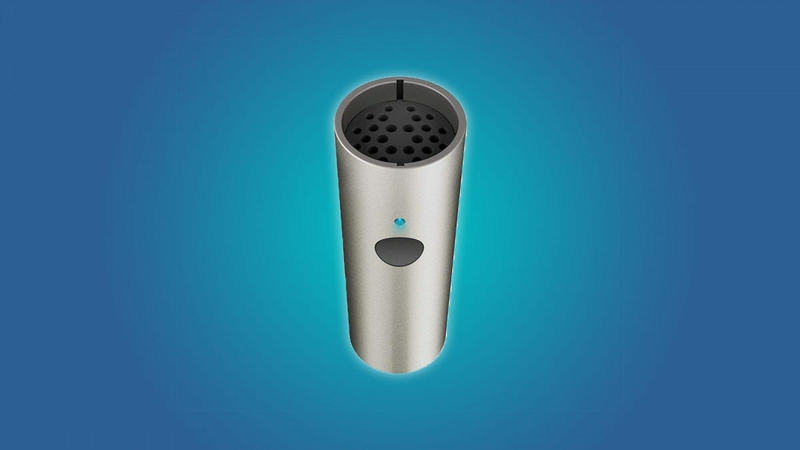 This is a good device for people that are concerned about their indoor and outdoor air quality. While it may seem a little… hypochondriac-ish, there are some places where outdoor air quality is worse than indoor air quality, and conditions like asthma can be triggered by poor air quality. 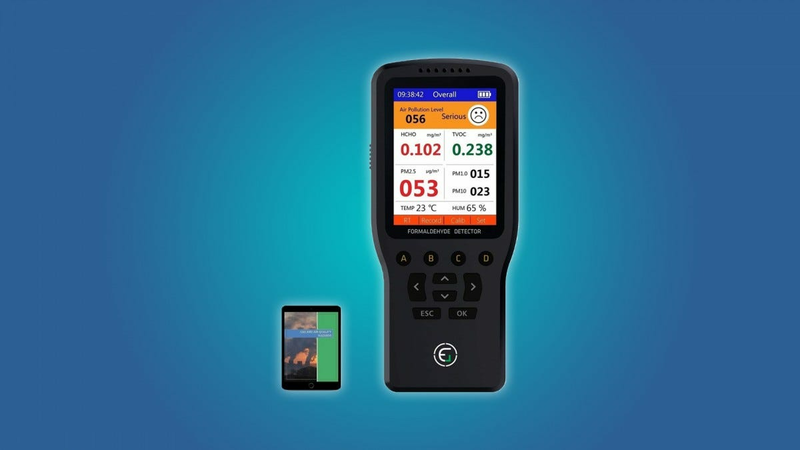 If you’re looking for a professional-grade portable air quality monitor, then you should check out the EG air quality monitor. This thing is super accurate, and it gives you a lot of details in one quick glance. 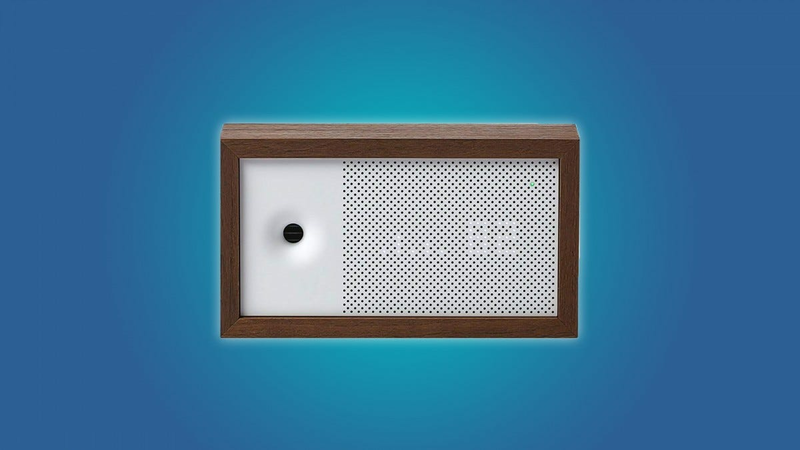 Additionally, the EG air quality monitor connects to your phone and saves your air quality history, so you can quickly page through changes in air quality over time. If you seem to always get light headed at work, this is the device that will tell you if whether or not your poor work ethic is a result of nasty toxic air. You should also keep in mind that the EG can’t connect to smart home products. But, to be fair, would you really leave an industrial tool on your nightstand? The EG is a great air quality monitor for portable and professional use. It’s great for contractors, people that spend a lot of time in hotel rooms, or realtors that want to prove air quality to potential home buyers. Be forewarned, however, that you’ll definitely need to read the manual and you’ll be looking up a thing or two on Google to get familiar with some of the scientific shorthand used on the display.